Discussion in 'Apple Collectors' started by blakespot, May 11, 2002. 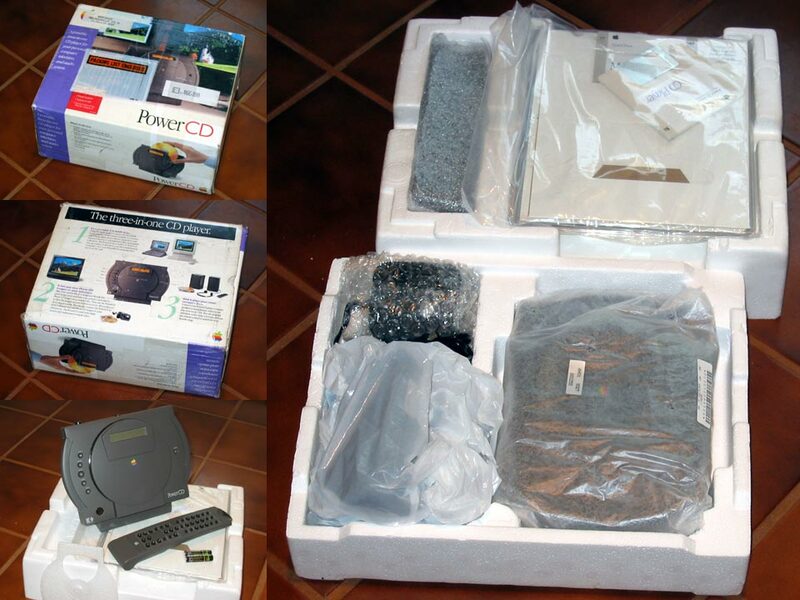 Took some pix of the new-in-box PowerCD I snagged on eBay last month. I've now set it up to replace my semi-functional, aging, component CD player that used to sit on my entertainment center. So it's in fulltime use. Pretty sweet. Anyone in the UK want to sell me one of these for about £80? blakespot, nice Sony tv you have there.. what size is it?? I have the 27" model. 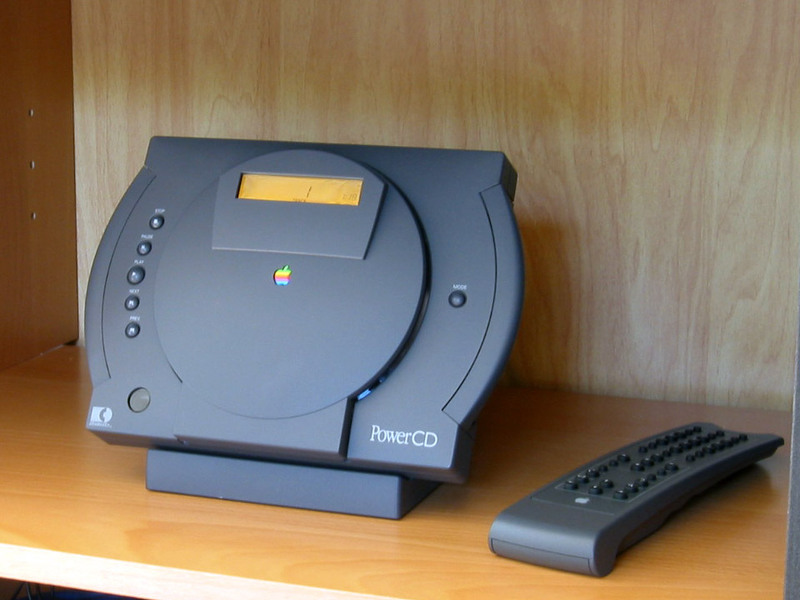 As for the PowerCD, it's nice, if you want that sort of thing. Personally, I like mine from Camridge SoundWorks that I have plugged into my speakers. It's the 27" VVEGA, indeed. Fine set. 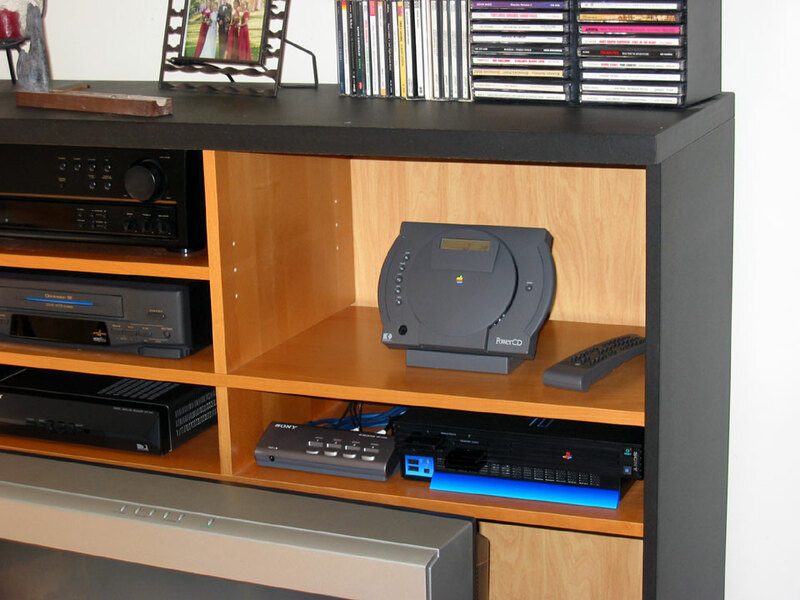 Looks great w/ s-video in from DirecTV and component in from the PS2 (DVD, etc.). for how much did u snag it? About $300. New in box. Quite fine. Good old times! Still remember promotimg them with the Apple Promotion Team here in Germany. Cool that some people still have one (and in use).